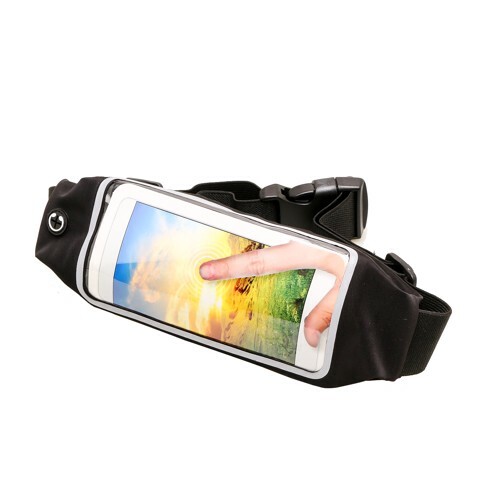 Sport Waist Bag For Smart Phones. 29 x 9cm. 3 Assorted Colours: Black | Light Blue | Pink - Clear Front for Finger Swiping. TPU. 75G Packaging: Polybag with Header Card and Insert Card.